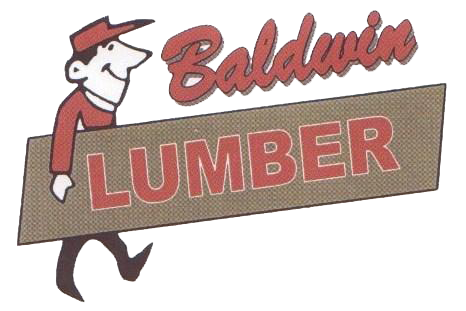 Baldwin Lumber Co. was established in 1926 by Harold and Gladys Allison. Lumber, millwork and coal were the main inventory products in the early years. Gladys ran the lumberyard during the war years as Harold was overseas during WWII and the Korean Conflict. He had previously also been overseas during WWI. Harold and Gladys’s oldest son , Gordon, came into the business fulltime after graduating MSU and serving in the Military Police during Korea. Gordon and wife, Emily MacLeod Allison, purchased Baldwin Lumber and continued to grow the business through the next forty years. Jane Allison, daughter of Gordon and Emily, graduated from Alma College in 1983 and purchased the business in 1990.